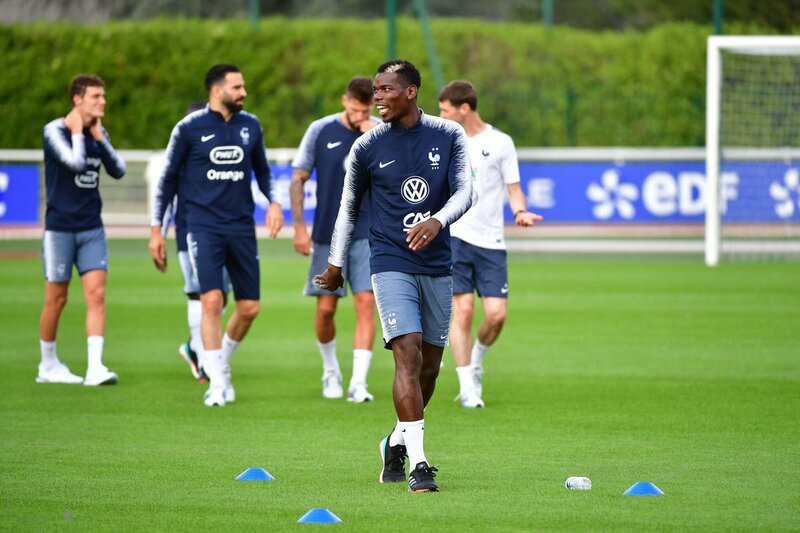 Paul Pogba is back with France and celebrated the reunion with his World Cup-winning team-mates by treating himself to a new haircut. The Manchester United midfielder will be hoping to put his Premier League struggles behind him over the next fortnight while returning to international duty. And Pogba has decided to mark his arrival in Clairefontaine by getting the clippers out again – this time carving an “Infinity” logo into his hairline. And no doubt the 25-year-old’s latest style will get the football world talking again. Ahead of his nation’s clash with Denmark in Russia, opposition boss Age Hareide could not resist discussing the United star’s hair. He will probably be glad of the break as he prepares for action against Germany and Holland. But speculation over his future continues with speculation mounting he wants to join Barcelona.